Dave Barry is a Pulitzer Prize-winning author of more than a dozen books, including Dave Barry's History of the Millennium (So Far); The Shepherd, the Angel, and Walter the Christmas Miracle Dog; Dave Barry's Money Secrets; and Big Trouble. Along with Ridley Pearson, he is the co-author of Peter and the Starcatchers, Peter and the Shadow Thieves, Peter and the Secret of Rundoon, Escape from the Carnivale, Cave of the Dark Wind, and Blood Tide. 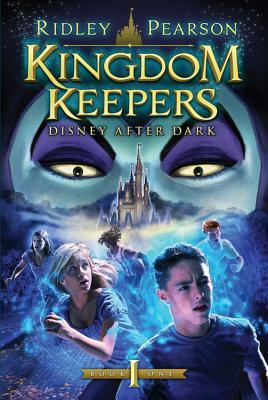 Ridley Pearson, in addition to the Peter and the Starcatchers series with Dave Barry, is the award-winning author of The Kingdom Keepers-Disney After Dark, The Kingdom Keepers-Disney At Dawn, and Steel Trapp. He has also written more than twenty best-selling crime novels, including Killer View and Killer Weekend. He was the first American to be awarded the Raymond Chandler/Fulbright Fellowship in Detective Fiction at Oxford University.